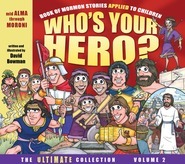 Focusing on heroines from the Bible and Book of Mormon, this fun, engaging book not only tells the stories of these heroes but also shows girls how they can be like these noble scripture women. Girls will learn how to choose between good and best, just as Eve did in the Garden of Eden. They will be inspired to "go the extra mile" when they serve someone, just as Rebekah did when she offered to give water to all those thirsty camels. With seven stories in all, plus application pages and family home evening lesson helps, Who's Your Hero For Girls is bound to be a hit for your young heroines-in-training. Following his service as a missionary in the Philippines, David Bowman graduated with a degree in illustration from Brigham Young University. He has since served as a release-time seminary instructor as well as a counselor and speaker as numerous EFY conferences. David’s special love is making the scriptures come to life for young people, authoring and illustrating several books for kids and teens. He is also the artist of fine-art depictions of the Savior titled “Expressions of Christ.” David and his wife, Natalie, and their five children live in Arizona. A book of the female heroes of the scriptures! Awesome! I love the sweet intent of the author dedicating it to his daughters ❤️ But I hadn’t had even the thought (let alone my daughter) that the other stories were “For Boys” until I saw this one with only women heroes being labeled as “For Girls” with of course, pink and purple everywhere. Nope nope nope. The stories within are wonderful, but can we just get an intermixed heroes book? Not separating them by gender? I know many don’t see this as a problem, but in labeling it so, boys (and unfortunately many of their parents) will see that label and say “oh I don’t want a girls book!” Or “Oh no, son, that’s a girls book. You don’t want that.” And miss out on learning the amazing stories of women heroes. P.S. my daughter and I added “AND BOYS” in permanent ink. Just wish we didn’t have to even worry about it. This author does a wonderful job of explaining gospel concepts. I love that this book focuses on women in the scriptures. 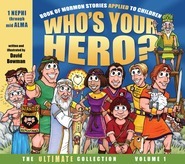 The Who's Your Hero series teaches a value each highlighted scripture person exhibited, tells their story and applies it to modern times. 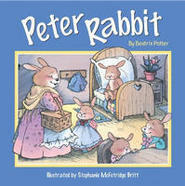 I read these stories to my young children. I feel like these books are best for children ages 2-11. My children love searching for the mouse on each page. They love the fun drawings and they relate to the stories. Thank you Mr. Bowman for creating these books. I own ~6 of your books. We have all heard the saying that goes, "you can't judge a book by its cover." Living far away from any Deseret Book store, I find that often, I have to take a gamble on the contents of any online Deseret Book purchase, so I appreciate helpful reviews.. For others in my shoes, here is a list of the Table of Contents of this book: Eve Makes the Best Choice, Rebekah Loves Doing Good Works, Hannah Prays with Faith, Sariah Obeys the Lord Willingly, Esther Shows Courage, Abish Acts on Inspiration, and Mary Lives a Virtuous Life. Each chapter includes a cartoon of the story and an application geared towards children (like trying to finish a school project rather than playing with a friend first and procrastinating the school project). There is a quote from a general authority or scripture cross reference; and a list of FHE lessons in the back with links to videos, Friend articles, YW values, hymns, etc. In my opinion, the cartoons are cartoony enough to grab and hold children's attention. The doctrine is simple and accurate; the applications are easily understandable and relevant to children. Each chapter is a quick read. Estimating, it is about at a second or third grade reading level, although some words are more difficult. The concepts inside would be geared for 7-11 year olds. This would be a good purchase. If the pink/purple combo is too much, or if you don't like the references to girls on the cover, you could easily solve that with a roll of duct tape, because the contents of the book are spot on and follow the Come Follow Me teaching methods/direction that the youth will be expected to use later on as they get older. We have all of David Bowman's "'Who's your Hero" collection. We have loved them all as we have read and used them at bedtime and Family Home Evening! My daughter has cherished this book specifically! While we use them all for family study, my daughter loves to keep this one in her room! How fun to add this amazing book to our collection! While I appreciate the gesture of including heroines in his series, I really wish David Bowman and his publisher would not have specified this volume to be "for girls". Why shouldn't boys have the opportunity, and even be encouraged to learn the stories of these noble women? The verbiage "for girls" makes it an automatic turn off for many boys and their parents. Nice try, but I would love to see this fixed in a future edition. Then, rather than just looking at it in the store, I might actually buy it.